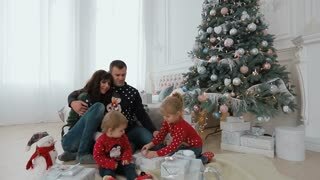 Young happy family opening their christmas presents together. Christmas tree background. Holiday and New Year. Young happy family opening their christmas presents together. Holiday and New Year.